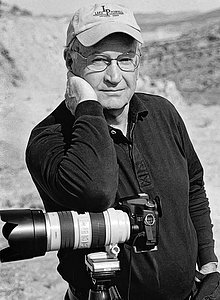 Bob Macdonald is a Green Valley, Arizona, and formerly Colorado-based, award-winning photographer with experience in almost all the photographic genres--portrait, advertising, architecture, landscape, sports, model portfolios, special events, fine art. Much of his photographic past was consumed by corporate work in advertising, architecture, and executive portraits. His recent work has included numerous photo spreads for web sites for a variety of service industries and private work for individuals and a variety of publications. He also has instructed and consulted with professional photographers new to the field and has produced advertising images for a local chamber of commerce and as a free lance photographer, including for the Colorado Springs area newspaper's web site. He donates his efforts to community non-profit organizations like Pillar (education for seniors) and Rock Ledge Ranch in Colorado Springs. Bob's art has appeared in galleries in Colorado Springs and Manitou Springs, Colorado and he has been represented by a gallery in Santa Fe, New Mexico. Many of his images reflect his enduring love for the beauty of the American west. After being brought up on film and Nikon cameras, Bob now works entirely in digital format with Canon equipment and shoots in the RAW format, preferring its flexibility and refinement. He also prefers to do his own processing and printing in order to keep control of the many factors contributing to producing prints of quality. When needed, he makes subtle changes to his photographs in computer processing software to balance color and light in order to reflect more accurately what he saw when he tripped the shutter. He occasionally uses more obvious manipulations for creative effect. Then again he can sometimes go off the deep end to create very unusual images.